A century ago the poet and polymath Rabindranath Tagore (1861-1941) carried out experiments in rural reconstruction and lectured around the world to warn against nationalism and ‘the greed of profit’, and to advocate creative unity. He gives us an inspiring example of the environmentalist principle of ‘think globally, act locally’. Tagore would have been appalled at the devastation brought about since his lifetime through accelerating exploitation of people and planet, and his response would surely have been to act locally in an even more radical way. For ten years I have studied and written about the relevance of Tagore’s words and deeds to the present world in crisis. In a paper entitled ‘Tagorean Veganism’, I argued that Tagorean radicalism would mean establishing diverse plots of largely perennial plant foods, as locally as possible, in each individual village or neighbourhood or home garden. In this paper I look at the beneficial reduction effect of radical relocalisation, in that it makes the bulk transport of food stuffs unnecessary, thus removing the need for single use packaging and saving the energy expended, not just for powering vehicles, but also on building infrastructure to facilitate transportation. Man’s social world is like some nebulous system of stars, consisting largely of a mist of abstractions, with such names as society, state, nation, commerce, politics and war. In their dense amorphousness man is hidden and truth is blurred. The one vague idea of war covers from our sight a multitude of miseries, and obscures our sense of reality. The idea of the nation is responsible for crimes that would be appalling, if the mist could be removed for a moment. The idea of society has created forms of slavery without number, which we tolerate simply because it has deadened our consciousness of the reality of the personal man. In the name of religion deeds have been done that would exhaust all the resources of hell itself for punishment, because with its creeds and dogmas it has applied an extensive plaster of anaesthetic over a large surface of feeling humanity. Everywhere in man’s world the Supreme Person is suffering from the killing of the human reality by the imposition of the abstract. In our schools the idea of the class hides the reality of the school children; they become students and not individuals. Therefore it does not hurt us to see children’s lives crushed, in their classes, like flowers pressed between book leaves. In government, the bureaucracy deals with generalizations and not with men. And therefore it costs it nothing to indulge in wholesale cruelties. Once we accept as truth such a scientific maxim as “Survival of the Fittest” it immediately transforms the whole world of human personality into a monotonous desert of abstraction, where things become dreadfully simple because robbed of their mystery of life. This is a resounding wakeup call. Tagore urges us to focus on human reality and not be blinded by concepts and ideas – and he names them: society, state, nation, commerce, politics, war, religion, education, government and science. It is interesting that ‘religion’ is included in the list of abstract ideas which blind us to the dehumanising structures of the modern world, so when Tagore refers to the ‘Supreme Person’ suffering from the loss of human reality, he must mean something other than God in the usual religious sense. My understanding of this phrase, and variations of it which occur frequently in his English Essays, is that it refers to all of human reality and consciousness taken together. Tagore did not believe in a deity isolated from the world, but in the ‘infinite personality of Man [which] comprehends the Universe’. For Tagore this means all of human experience and only human experience, as he asserts that ‘if there be any truth absolutely unrelated to humanity then for us it is absolutely non- existing’. Tagore’s conception of the ‘Supreme Person’ is vital to our collective response to the crisis in today’s world because we urgently need a Supreme Wakeup Call. David Attenborough’s recent series Blue Planet 2 sparked a wakeup to how plastics pollution in the oceans is cruelly affecting birds and mammals which depend on or live in the sea, and disrupts the marine ecology. This aspect of the world in crisis is the perfect trigger for the Supreme Wakeup Call because it is visible and tangible, and there are many obvious ways to take personal action, from refusing plastic carrier bags to joining beach cleanups. When serious damage is out of sight it is out of mind. I became aware of this problem thirty years ago when I discovered the scale and seriousness of land degradation worldwide, and found when I talked about it how alienated people are from the effects on the land of their consumption. The effects of land degradation are visible to those who are interested, although what they see and concerns they have will depend on attitudes and expectations. A conventional farmer and an organic farmer may have different concerns about the condition of the soil in their ploughed fields, but a critic of the practice of growing annual mono-crops would tend to see either field as a desert of ruined and lifeless soil. Another manifestation of ‘out of sight, out of mind’ is air pollution, literally ‘The Invisible Killer’ according to air pollution scientist Gary Fuller. The best known ‘out of sight, out of mind’ issue is anthropogenic climate change, which has been denied by those with vested interests, for over thirty years to my knowledge, because for much of that time it was not having impacts we could see and attribute to it with any certainty. The ultimate ‘out of sight, out of mind’ issue is being engaged elsewhere: at jobs and domestic duties, distracted by popular entertainment such as sport, having important things to do and say and read and write and create and study and criticise and teach – they all take attention away from what we’ve done to the planet, so we don’t see it, or if we do, we give it little attention. Suddenly, and very recently, we have begun to see waste plastic, see the damage, and see some action we can take, like refusing plastic carrier bags and joining beach cleanups. This wakeup is a great place to start because plastics waste is connected to all the other problems, and should lead to the Supreme Wakeup Call we need. It is significant that Tagore’s complaint comes at the beginning of an essay on ‘The Modern Age’ in a book entitled ‘Creative Unity’. Those titles can serve to represent two aspects of the wakeup call, the first focussed on bringing together what has happened to the world since Tagore’s day, the second on unifying the creative solution. The function of today’s plastic packaging, and of the hessian sacks a century ago, is to enable the bulk movement of goods. Tagore’s observation indicates that there had been a scaling up of sack-making over the four or five decades since his childhood, and it would be a similar period of time from the time he was writing to the invention of plastic bags in the 1960s. An exponential increase in transportation was to follow. The need to move goods around would not have been new in Tagore’s day. For most of human history goods have needed to be moved: for short distances around neighbourhoods for harvesting, storage and sharing out, and further afield to local and distant markets for trade in high value or locally unobtainable goods. Sacks and other containers and materials: baskets, crates, barrels, string and rope, were products of local craftsmanship. Our centre of culture should not only be the centre of the intellectual life of India, but the centre of her economic life also. It must co-operate with the villages round it, cultivate land, breed cattle, spin cloths, press oil from oil-seeds; it must produce all the necessaries, devising the best means, using the best materials, and calling science to its aid. Its very existence should depend upon the success of its industrial activities carried out on the co-operative principle, which will unite the teachers and students and villagers of the neighbourhood in a living and active bond of necessity. This will give us also a practical industrial training, whose motive force is not the greed of profit. Tagore’s aim was to make his university like a village and bring education to villages so that everyone would have the skills and knowledge to be self-reliant and creative. It was a utopian vision with real potential, and it made some progress while Tagore was actively engaged. That it did not succeed as he hoped, as a model for India and the world, was due to the ‘greed of profit’ driving society apart. Tagore’s ‘greed of profit’ is the modern economic system which drives society apart through markets, an alienating system where goods are made in one place for consumption in another. The plastic waste problem is due to additional material being made and used just to help move goods around being lost sight of along the way. Packaging material may or may not be reused or recycled or disposed of more-or-less badly – gunny-bags, hessian sacks, one assumes, were reused until they fell apart, but the benefits of plastic packaging have been taken for granted, and its problems largely ignored, since it was invented in the 1960s and re-invented as new uses were thought up. Only recently, with the oceans riddled with plastic of all shapes and sizes including micro-plastics found in many animals including ourselves, and shocking figures like the recent announcement that people in the UK throw away 295 billion pieces of plastic every year most of it wrapping food, most of it single-use. Without much hope of finding that issue in the archive, I searched online and found it, thanks to Teddy Goldsmith, founder of The Ecologist, who had requested that issues from 1970 to 1999 should be available free for all to view. The one I remembered: Vol. 23, No. 4, July/August 1993, has an Editorial entitled ‘The Infrastructure Lobby: “The Slow Breathing of the Monster”’ in which Simon Fairlie describes the Kondriatev cycle whereby the industrial economy seemed to expand and contract in waves lasting approximately 50 years, and links that to the suggestion by Andrew Tylecote that each of the boom periods is associated with the successful emergence of a new ‘technological style’, characterised by a new form of transportation. Fairlie identifies two forms of transport which fit the Kondriatev/Tylecote economic pattern in the UK: canal systems which stimulated the economic upswing at the end of the 18th century, then the emerging rail network and the rising boom period in 1844-1870. He observes that the pattern is more complicated in the 20th century due to periods of waves and troughs being punctuated by two world wars, but one can still identify links between major changes in transportation styles and economics booms. The electric suburban railway was developed in the decade of boom after 1918. After the 1930s slump and World War II there was Fordism in the ‘production of motor cars and aeroplanes, supertankers and motorways – a transnational oil-based economy that only started to weaken after the oil crisis of 1973’. As critics of recycling have long pointed out, not only does the industrial processing of scrap materials generate environmental pollution, it also requires high expenditure of energy, needs additional raw material inputs, produces inferior products, and sends excess materials to the very landfills and incinerators meant to be avoided. In other words, while ‘recycling’ waste generates valuable materials for manufacturing, it also generates garbage and pollution. The International Statistic of the Year for 2018 was announced on 18 December 2018 as ‘90.5%: the proportion of plastic waste that has never been recycled. Estimated at 6,300 million metric tonnes, it’s thought that around 12% of all plastic waste has been incinerated, with roughly 79% accumulating in either landfill or the natural environment’. In principle, problems of this scale and seriousness should be addressed by governments and international agreements. The UK government has announced a recycling waste strategy, also on 18 December 2018, with consultations in 2019 and to come into force in 2023. This was criticised by Friends of the Earth waste campaigner Julian Kirby for ‘too much reliance on voluntary measures, and precious little commitment to targets to reduce waste and boost recycling’. The EU announced its ‘strategy for plastics’ in January 2018, and in the same month the United Nations announced it will form a panel to discuss measures to reduce plastic waste in the oceans. Predictably, in response to the UK plan for those responsible for the waste to be legally obliged to pay for its disposal, a spokesperson from the Confederation of British Industry said the changes would be a burden to businesses. There are precedents for public pressure on industry to be successful in getting international action. The prime example is the public outcry and the boycotts of aerosols which resulted in the 1987 Montreal Protocol, which controlled the production and use of ozone-depleting substances. Gary Fuller blames the prioritisation of car ownership for the twentieth century failure to tackle air pollution from road transport. However, he cites examples of schemes such as low emissions zones, alternate odd and even number plates days, pedestrianisation, even reducing road capacity to avoid ‘induced travel’, which have resulted in reduction of some forms of air pollution. Fuller warns that little attention is paid by transport planners to freight transport, whereby businesses deliver their own goods and private companies compete for delivery trade, which is an increasing concern with the growth in van usage to serve internet shopping and just-in-time deliveries of supplies to industry, retail and offices. We can make a connection at this point with plastic waste, much of which is discarded packaging for all those convenient and cost-saving just-in-time deliveries. The burden for the disposal of all that plastic waste, together with costs of building the roads, rail and airfreight infrastructure, and attempting to deal with consequent pollution, falls on local and national government and ultimately comes down to the people, tax payers and consumers. Everyone, including those not economically active: children, the elderly, the homeless and other left behind casualties of the system, suffers from the pollution of land, sea and air, as does the planet itself and all of life on Earth. In the West the national machinery of commerce and politics turns out neatly compressed bales of humanity which have their use and high market value; but they are bound in iron hoops, labelled and separated off with scientific care and precision. Obviously God made man to be human; but this modern product has such marvellous square-cut finish, savouring of gigantic manufacture, that the Creator will find it difficult to recognize it as a thing of spirit and a creature made in his own divine image. For any hope of a remedy, we need to return to Tagore’s resounding wakeup call, in which he urges us to focus on human reality and not be blinded by concepts and ideas, whether the big ones he cites: society, state, nation, commerce, politics, war, religion, education, government and science, or others too numerous to name. His practical solution was to insist that teachers and students at his university, as well as the people of the surrounding villages, should produce all they needed locally. A century ago that meant cultivating land, breeding cattle, spinning cloths, and pressing oil from oil-seeds. In today’s world, the most useful place to start is by growing our own fruit and vegetables locally, as a vital first step away from being part of the problem. The best model for local growing is the diverse food forest, which will protect the soil, draw down carbon from the atmosphere, and encourage wildlife, such as beneficial insects, frogs and toads, birds and mammals, to be part of our natural cooperative. We may dream of our own tiny food forest being part of a global network of food forests, with areas of rewilding, so that the species currently facing extinction may be saved, and enough carbon absorbed for the planet to be cooled. Such hopes and dreams are fine, as long as we remember Tagore’s warning about how concepts and ideas blind us to reality. It is only what we do together, in tangible contact with each other, that can heal the alienation of the modern world. 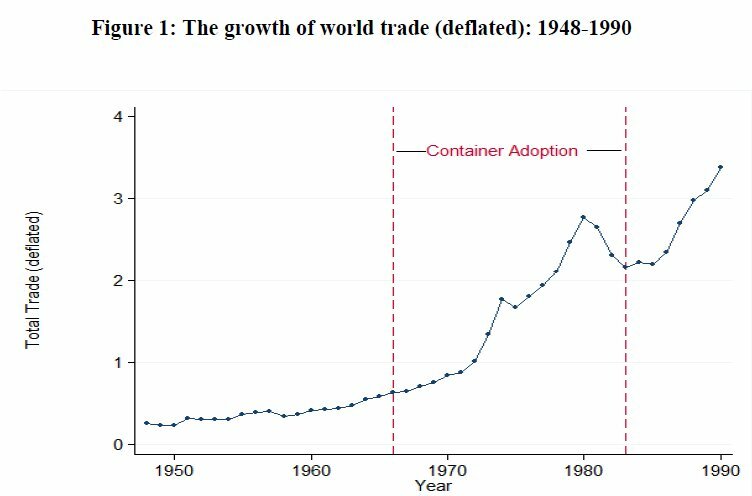 Bernhofen, Daniel M. and others, ‘Estimating the effects of the container revolution on world trade’, available as a pdf from search by title and author [accessed 20/12/2018]. Liebman, Adam, ‘No More of Your Junk’, New Internationalist, NI 516 November-December 2018, 24-6. Tagore, Rabindranath, ‘An Eastern University’, in Creative Unity (London: Macmillan, 1922), pp. 167-203. Tagore, Rabindranath, ‘Nationalism in the West’, in Nationalism (London: Macmillan, 1917), pp. 1-46. Tagore, Rabindranath, ‘Note on the Nature of Reality’, in The Religion of Man: Being the Hibbert Lectures for 1930 (London: George Allen & Unwin, 1931), pp. 222-5. Tagore, Rabindranath, ‘The Modern Age’ in Creative Unity (London: Macmillan, 1922), pp. 113-130. Tagore, Rabindranath, ‘What is Art?’, in Personality: Lectures Delivered in America (London: Macmillan, 1919 ), pp. 3-38. Thomas, William L., ed., Man’s Role in Changing the Face of the Earth: An Internationals Symposium (Chicago: University of Chicago Press, 1956). Tagore, ‘What is Art?’, in Personality: Lectures Delivered in America (London: Macmillan, 1919 ), pp. 3-38 (pp. 36-7). Tagore’s English Essays are the five books of lecture texts: Sadhana in 1913, Personality and Nationalism in 1917, Creative Unity in 1922, and The Religion of Man in 1931. Tagore refers frequently to the Supreme Person in the essay ‘What is Art?’, and in the other essays making up the Personality collection. Other phrases he uses elsewhere are the Supreme Soul, the Supreme One, the Supreme Self, the Supreme Reality, the Supreme Truth, the Supreme Consciousness, also the Universal Being or the Universal Mind, the infinite personality of Man or the Super-personal Man, and what he means is clarified in the transcript of his conversation with Albert Einstein, included in the collection The Religion of Man. Tagore, ‘Note on the Nature of Reality’, in The Religion of Man: Being the Hibbert Lectures for 1930 (London: George Allen & Unwin, 1931), pp. 222-5 (p. 222). Tagore, ‘Note on the Nature of Reality’, p. 225. Land degradation includes deforestation, desertification, salinisation and soil erosion, and has been the devastating and complex effect of agriculture dating back to the origins of farming in ancient Mesopotamia, and on through every manifestation of civilisation, the state, commerce and capitalism. The book which showed me that farming – which was ‘organic’ until a century ago – destroyed forests and ruined soils from the advent of the earliest civilisations was Vernon Gill Carter and Tom Dale, Topsoil and Civilization, revised edition (University of Oklahoma Press, 1974 ). I discovered this in the 1980s, before online search engines (Google was launched in 1998, Archie in 1990), but it was easy enough to find out about land degradation from books, such as Piers Blaikie’s The Political Economy of Soil Erosion in Developing Countries (1985) and Land Degradation and Society (1987), and William L. Thomas, ed., Man’s Role in Changing the Face of the Earth: An Internationals Symposium (1956), and also journals such as The Ecologist and National Geographic. I spent ten years engaged in research on land degradation, and discussed how to campaign on and raise awareness of it with Jonathon Porritt, then Director of Friends of the Earth (FoE) when I was a volunteer at FoE Head Office. Porritt told me that FoE was a political lobby group and could only campaign on a number of carefully chosen and targeted, specific and narrow aims, such as labelling of imported timber; it could do little about broad issues like global land degradation. I decided to take this on as a personal mission. I was on FoE’s national speakers list and was regularly invited to give talks about ‘environmental issues’ in schools, colleges and adult discussion groups. When I was working on land degradation I was critical of the focus by environmental groups on what we called ‘The Greenhouse Effect’ because, as a future threat, it lent itself to denial and/or the promise of technical fixes. Tagore, ‘The Modern Age’ in Creative Unity (London: Macmillan, 1922), pp. 113-130 (p. 115-6). Tagore, ‘An Eastern University’ in Creative Unity (London: Macmillan, 1922), pp. 167-203 (pp. 200-1). Tagore’s experiments in rural reconstruction would probably not have been possible without the involvement of the Englishman Leonard Elmhirst and funding from his wealthy American wife Dorothy. See Marsh, Tagore Speaks, Chapter 5 on Creative Unity, pp. 194-236 (pp. 225-32). ‘Estimating the effects of the container revolution on world trade’ by Daniel M. Bernhofen and others is available as a pdf from search by title and author [accessed 20/12/2018]. Tagore, ‘Nationalism in the West’, in Nationalism (London: Macmillan, 1917), pp. 1-46 (p. 6).